How to don the classic hue and stand out from the crowd. 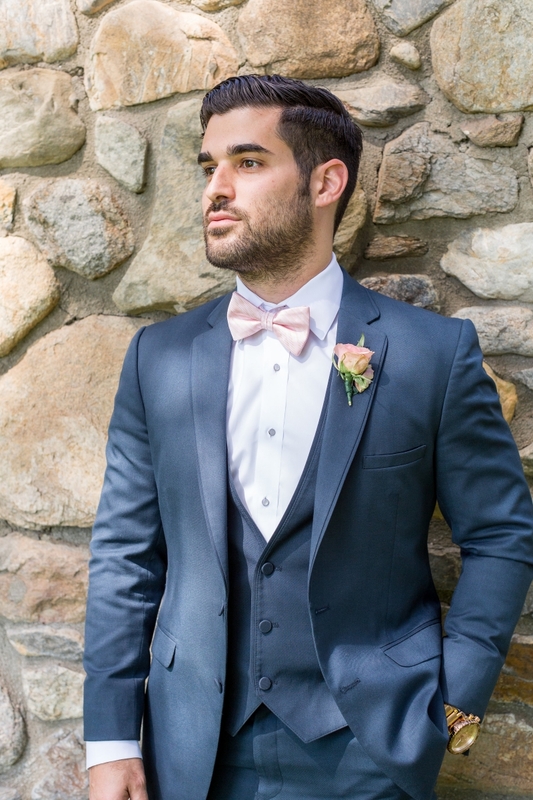 A tailored blue suit is as classic as they come, but classic doesn't have to mean boring or casual. Quite the opposite, actually. 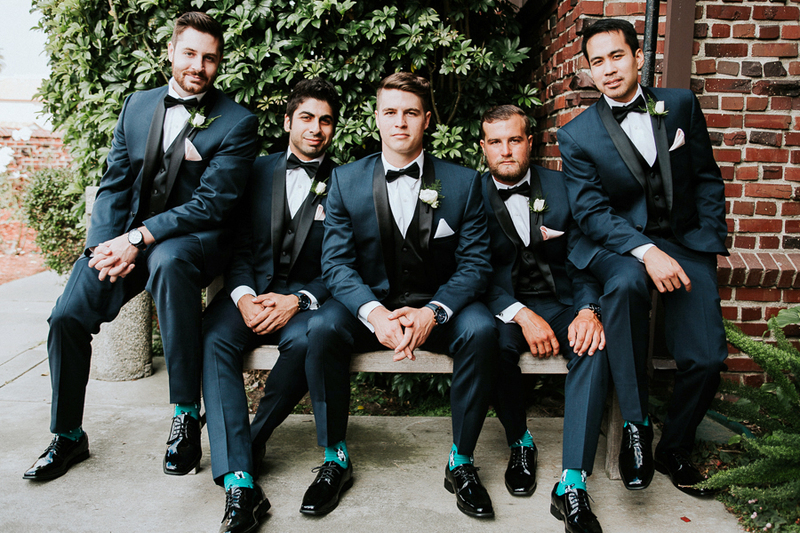 There are endless possibilities for styling blue formal wear in unique ways that speak to both the occasion and the groom's personality. 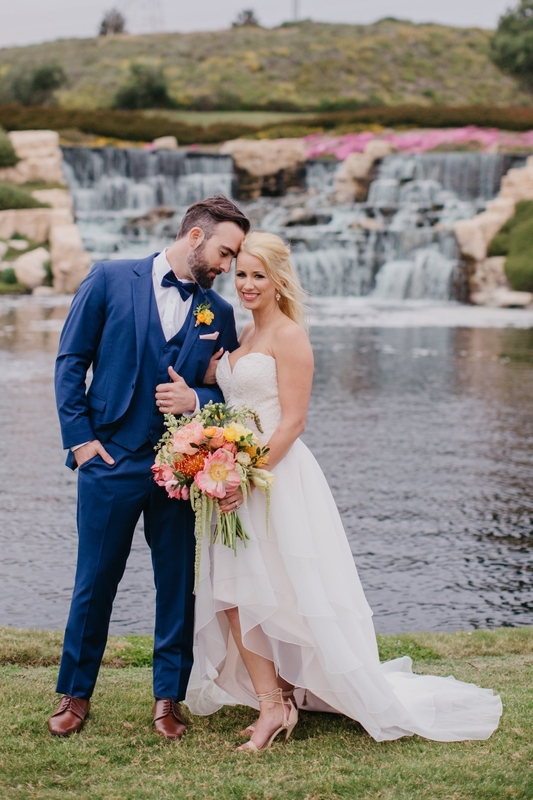 From formal navy tuxedos, to eye-catching colbalt three-pieces, Friar Tux has chosen a few of their favorite looks using the signature hue, and even given us a breakdown of exactly how to achieve each look. 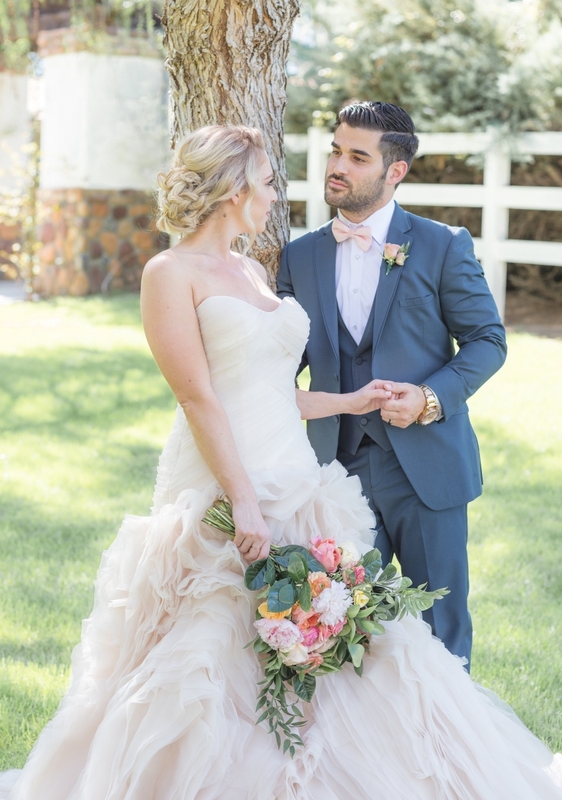 You can go ahead and cross that "something blue" off your list. How to wear it: Slightly brighter than your standard blue, a slim-fitting colbalt suit makes a stylish statement. 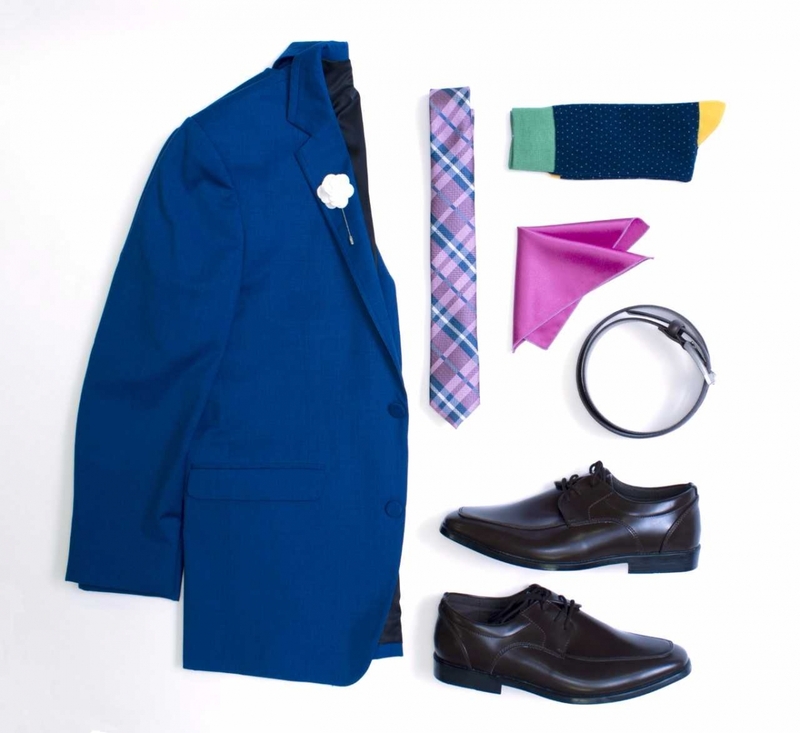 Pair it with a white lapel pin, pink and blue plaid tie, navy dot socks, pink pocket square, dark brown belt and shoes. 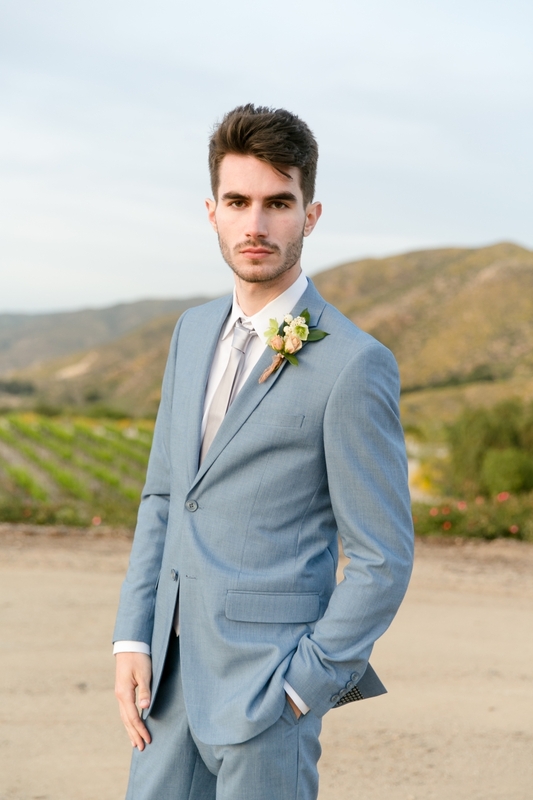 How to wear it: On the softer side, a light blue suit is the perfect fit for a summer afternoon celebration. 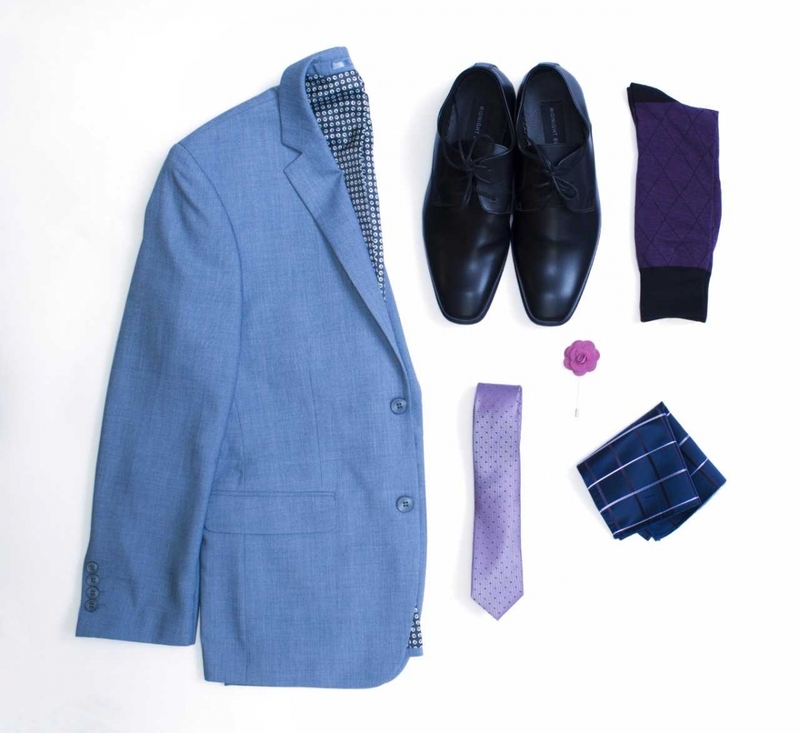 Pair it with a lilac dot tie, black shoes, eggplant argyle socks, orchid-colored lapel pin, and navy window pane pocket square. How to wear it: A well-fitting navy suit will never go out of style. Take it from day to night or beach to ballroom. 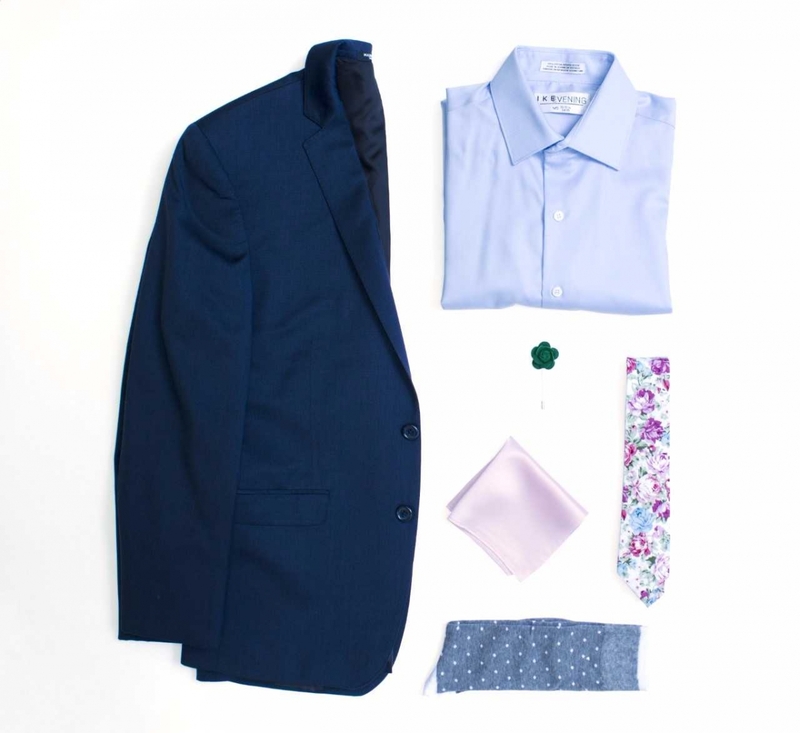 Pair it with a light blue dress shirt, green lapel pin, floral tie, blush pocket square and grey dot socks. 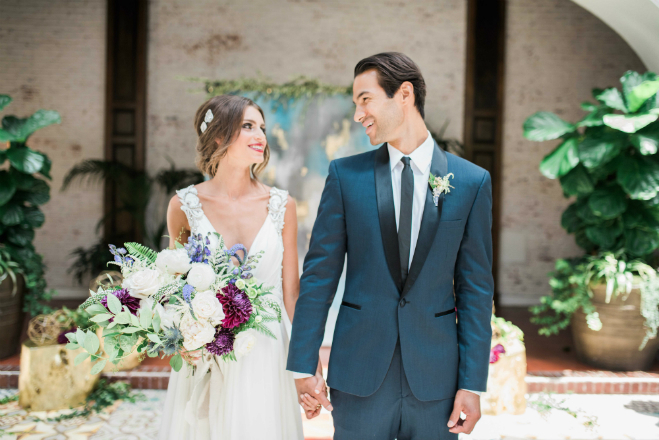 How to wear it: A chic departure from your standard black tuxedo, a navy tux says "modern" in all the best ways. 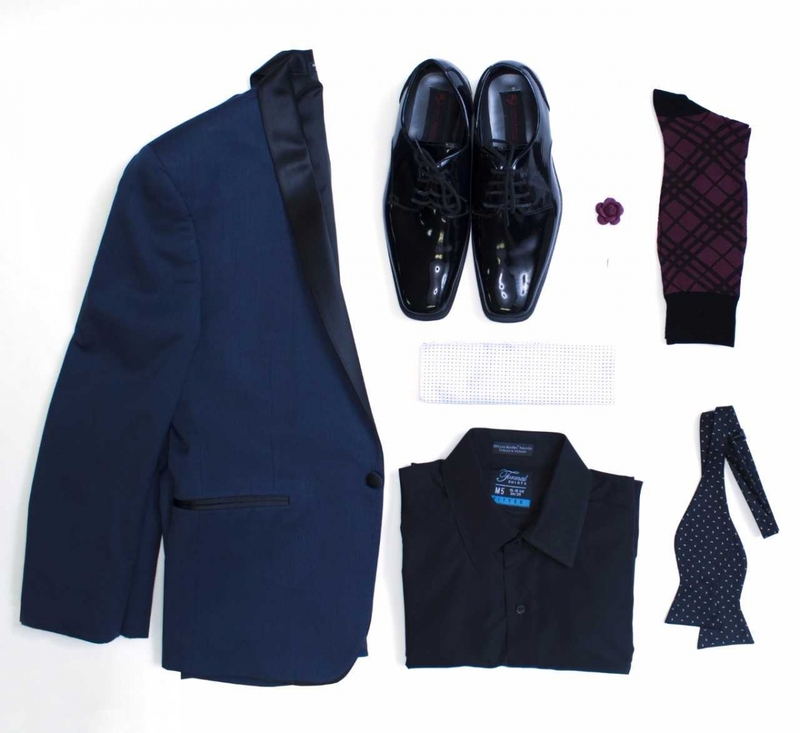 Pair it with black tuxedo shoes, a burgundy lapel pin, burgundy plaid socks, white-with-black dot pocket square, black dress shirt and black-with-white arrows bow tie. How to wear it: A fresh way to wear neutral, this blue-gray combo moves from rustic to refined. 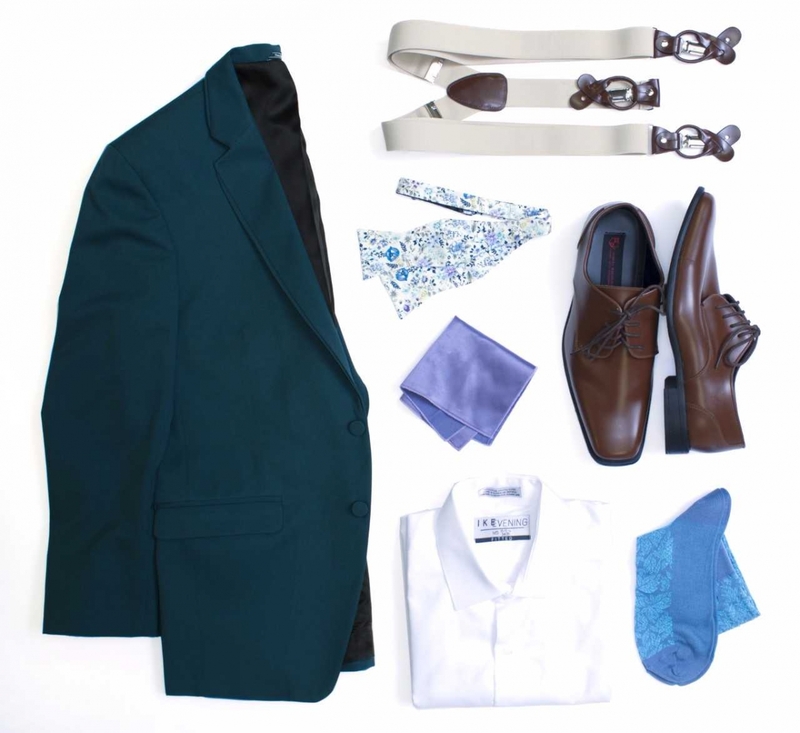 Pair it with suspenders, a floral bow tie, lavender pocket square, cognac shoes, white dress shirt and blue leaf-print socks. 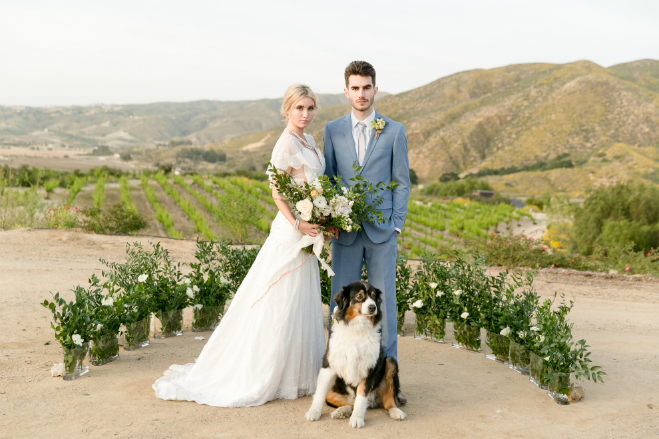 All above looks are available at Friar Tux. 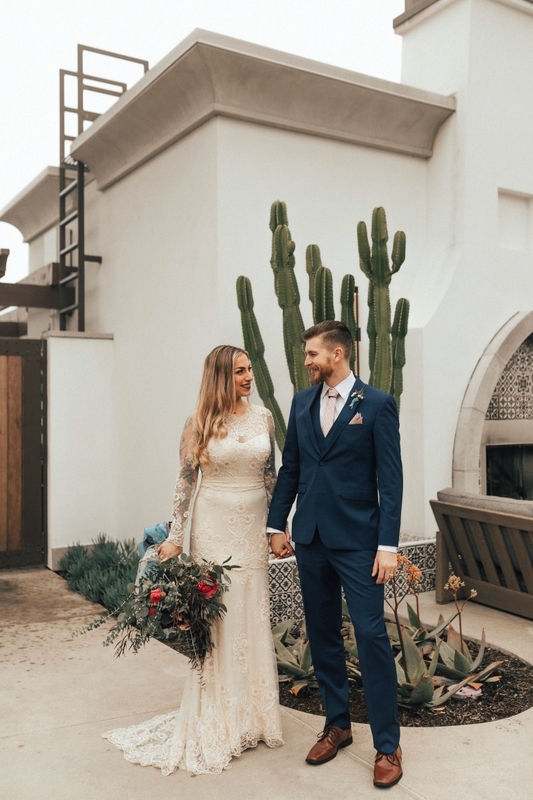 As Southern California’s experts in men’s formalwear, Friar Tux offers a large variety of suits and tuxedos for rental or purchase. 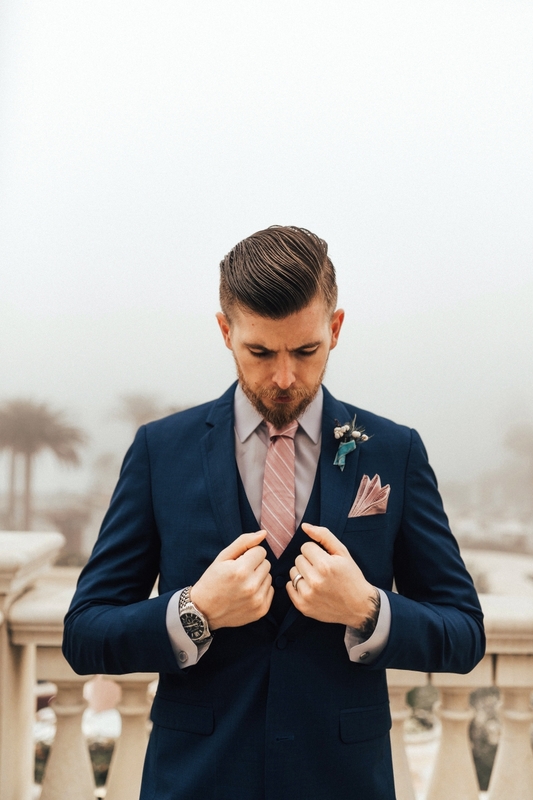 Each of their styles are specifically selected by their expert fashion team, ensuring that they offer today’s most modern and sophisticated trends in men’s fashion. They also offer 100s of colors to choose from for men’s accessories, such as ties, vests and more. 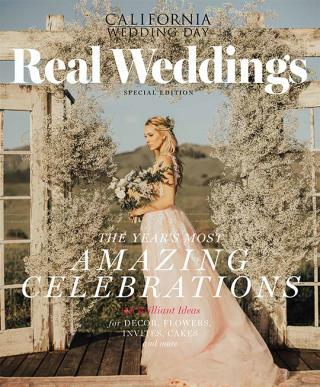 Plus, their color options complement many key bridal designer colors, helping you find a perfect match!